Anyone arrested for a DUI in Los Angeles has probably wished that the charges against them would just disappear. That just might happen in the case of several drivers who were picked up for DUI in New Hampshire. Television station WMUR 9, located in Manchester, reports that attorney John Durkin is taking the state to court to get information about police officers who may not have passed the breathalyzer certification test. 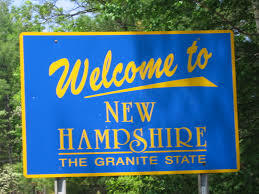 New Hampshire state law requires that all officers get recertified each year. If it turns out the officers flunked the certification test, the DUI arrests that they made because of breathalyzer results, as well as the convictions that prosecutors won using those results, may all be invalidated. The problem apparently stems from a glitch in the computer testing program that the state uses. More than 100 officers failed the test, but the program indicated that they had passed. The systemic issues could go all the way back to 2013, which could affect a lot of drivers charged with DUI during that stretch of time. According to seacoastonline.com, the issue came to light when Durkin heard rumors about the certification problem. He filed a Freedom of Information request with the New Hampshire Department of Safety, asking that the department send him the list of officers incorrectly certified. The Department of Public Safety says that it responded to Durkin within the required five days, telling him that it would take several weeks for them to comply with his request. At that time, Durkin filed his lawsuit, saying that time frame wasn’t good enough for people arrested for DUI by uncertified officers. Durkin says he plans to share the information about the uncertified officers with other attorneys. Hopefully, these legal actions will help create a more open, clear system and challenge other law enforcement agencies across the U.S. (and right here in Southern California) to more effectively and meticulously certify the machines they use when testing people suspected for driving DUI.